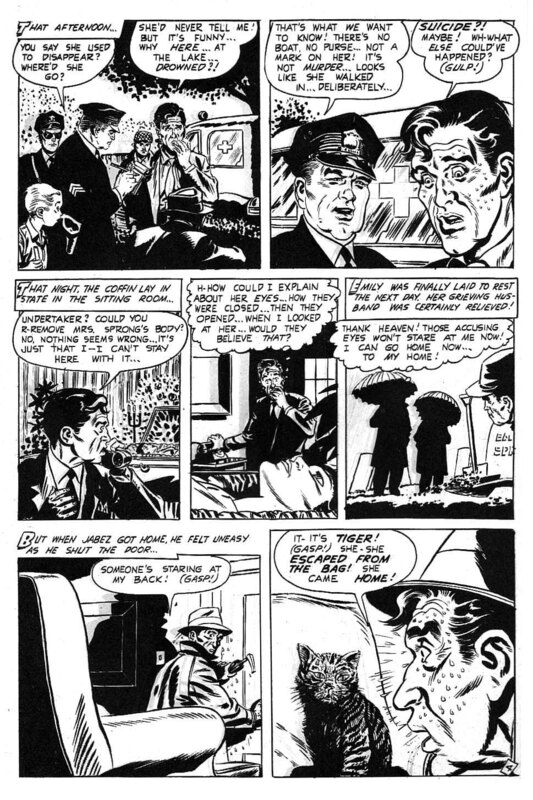 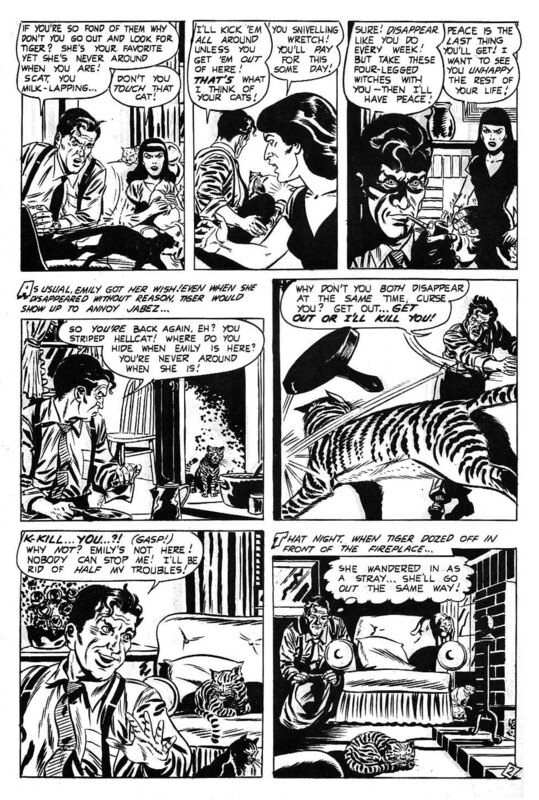 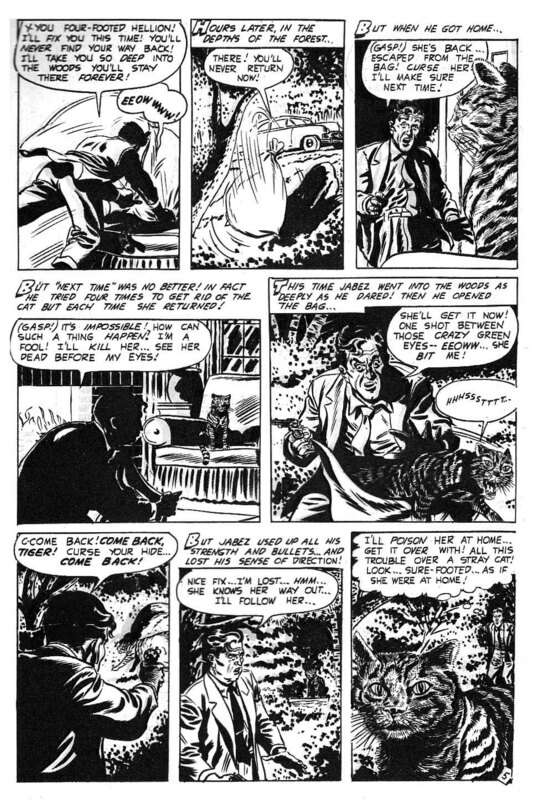 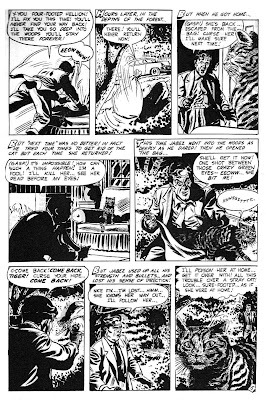 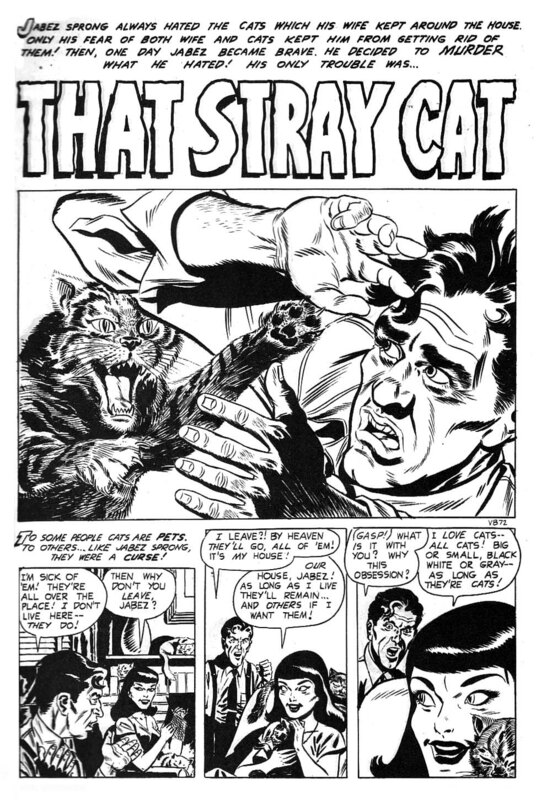 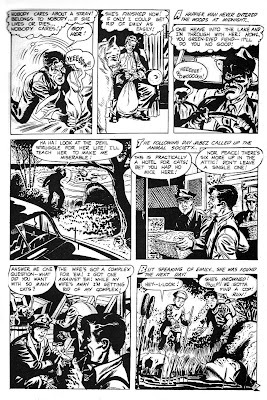 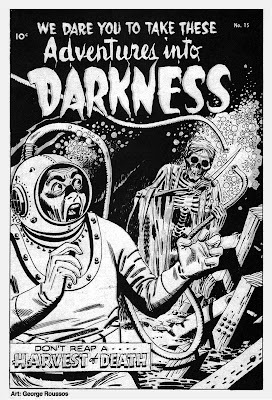 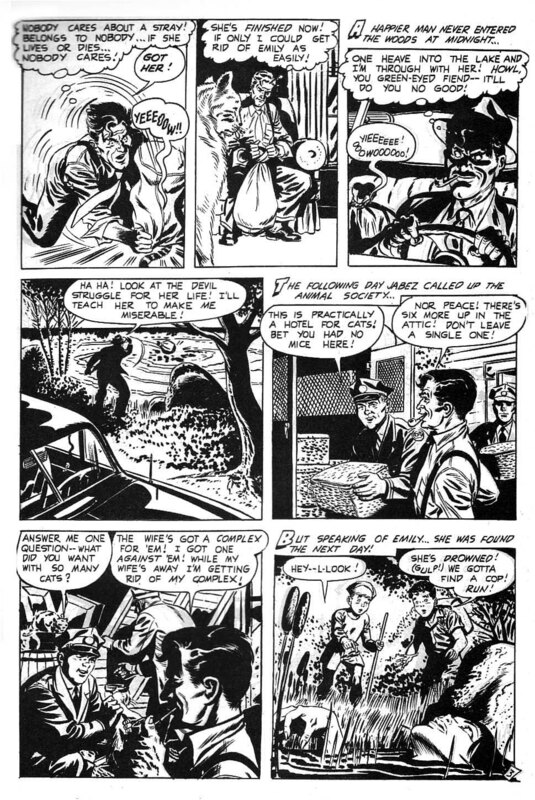 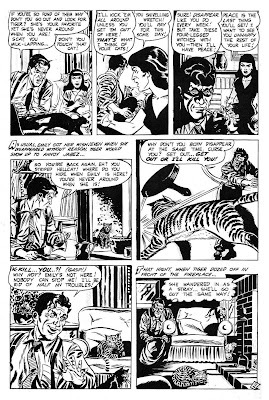 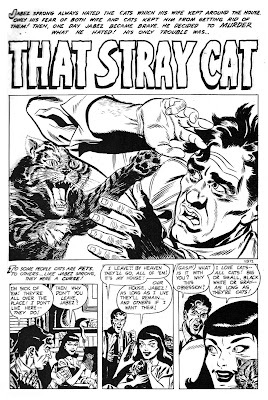 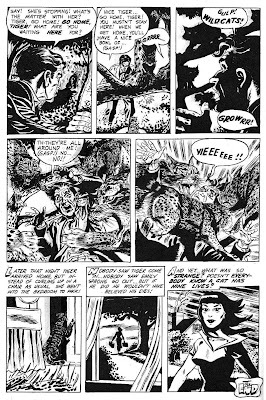 Today’s story was originally slated to appear in Adventures into Darkness #15 in 1954, but thanks to the Comics Code this issue never happened. 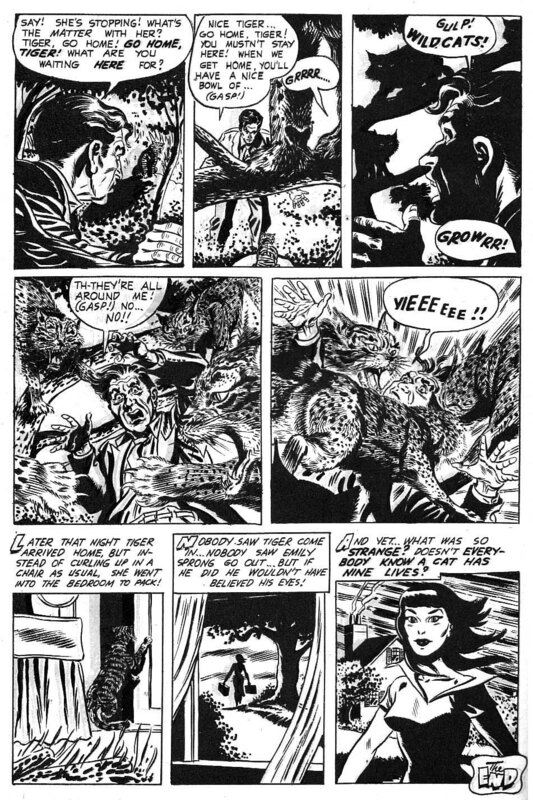 Fast forward to October 1985 and Eclipse Comics unearthed these unfinished pages in their Three Dimensional Seduction of the Innocent #1… also check the THOIA archives for the other stories in this “lost” issue: “Death Dives Deep”, “Harvest of Death”, and “Tryst with Terror!” (The usual Standard Comics bonuses and text tale fill out the ends of each post.) And don’t worry, you don’t need 3D glasses for any of these either.